Free Mulch For Gold Coast Gardens! "We see the wood for the trees"
You are here: Home / Hints and Tips / Free Mulch For Gold Coast Gardens! If (like us) you really love trees, you’re going to absolutely love mulch. 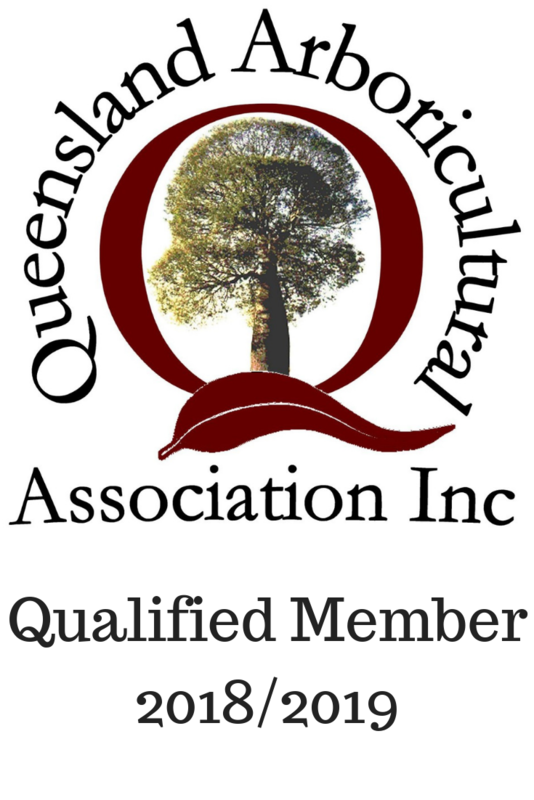 Here at JC Tree Services, we do Gold Coast tree removal, pruning and stump grinding – but did you know that our tree waste is turned into free mulch Gold Coast gardeners absolutely love? 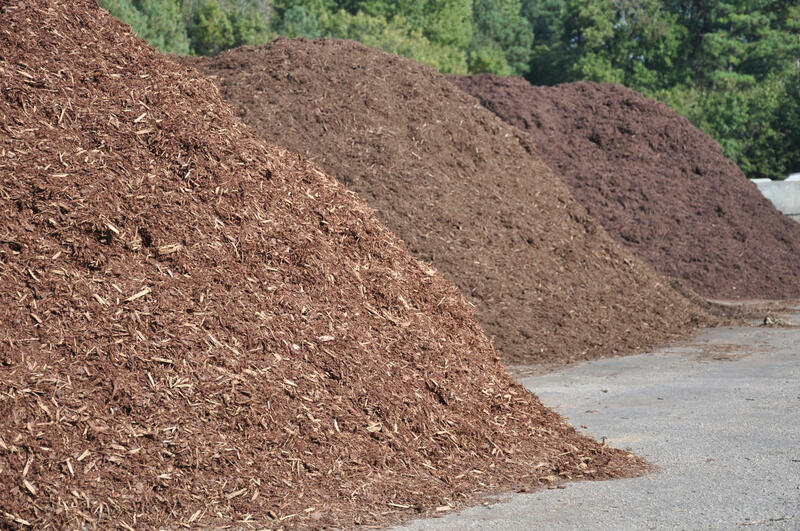 Woodchip mulch, or forest mulch as it’s known in the industry is the best mulch for your Gold Coast garden for a variety of reasons we’ll get to. But it’s also great for the environment! So, where to get free mulch? We will deliver a 15 cubic metre lot of free mulch on the Gold Coast. Please contact us to arrange a delivery subject to availability, conditions apply. Minimum 15m3, may contain palm waste. A delivery fee of $50 applies. What does mulch do for my garden? As any great arborist or gardener knows, mulch is basically a barrier between the bare soil and your beloved plants. And the sort of garden mulch Gold Coast gardeners love best will be wood chips from various tree species. In short, mulch means fewer weeds, simply because the all-important sunlight can’t get through to where the pesky weeds want to start springing up. Think of mulch as like a ‘mini umbrella’ for small, delicate, fragile seedlings. Great organic mulch holds and retains water, covering up the bare soil and stopping the moisture from escaping through evaporation. This is especially beneficial in the hot, dry summer, stopping your plants from going thirsty and keeping your watering bills down. Mulch naturally regulates the temperature of your soil, keeping roots cool enough in the summer and warm enough in the colder months. Mulch doesn’t just keep the water in, it stops the water from washing the soil away through erosion, especially during storm season. As the water falls, the mulch basically lessens the impact of it hitting the ground. Mulch simply makes for better soil, by binding the sandier soils together and opening up the more clay-like soils. Mulch won’t just keep the weeds out and the water in, it’ll also keep those vital nutrients where you want them – with your beloved plants. The mulch itself will provide and release these nutrients into the soil as the organic material decomposes, especially if you’re using the kind of tree mulch Gold Coast gardeners rave about. When frost conditions strike, mulch acts like a ‘blanket’ that protects your all-important plants. Certain types of tree mulch, in particular, will keep the pests away. This happens when natural oils come out of the wood and basically act as the best type of natural insect repellent. The best types of anti-pest tree mulch are the ones with a definite smell. But some creatures are very much welcome in your garden. The free mulch Gold Coast gardeners recommend the most will invite those wiggly earthworms to move in at your place, helping in the most natural way to keep your soil healthy. When your fruits and nuts are ready to fall, fresh mulch gives them a clean place to land. Especially in the case of young, delicate seedlings, mulch provides a good support while they grow and become stronger. Finally, a Gold Coast garden simply looks better when you use mulch. And best of all, in the areas where you don’t have grass or other groundcovers and fills, mulch is easy to use, maintain and replace – and provides all of the other benefits as listed above. Turning tree waste free mulch is just one of the ways JC Tree Services is committed to conservation efforts. Please help spread the word about our free mulch and environmentally conscious tree services from palm tree removal to stump grinding on the Gold Coast! We accept cash, EFTPOS and Credit Card Payments. Living on acreage with large trees, we called JC Tree Services, they came on time, did a great job & cleaned up after them selves. Very professional. I contacted numerous tree removalists at this busy time of the year and JC Tree Services (Jez) were the only service to get back to me. His expert advice and thorough understanding of all things trees met all of my needs promptly and efficiently. I would highly recommend. Quoted a very fair price, arrived on time unlike the other 4 local gold coast companys i called. The job was carried out and left clean and no damage to any other parts of my property! highly reccomended. Highly recommend JC Tree Services. Arrived on time, price as quoted and they left the site tidy. Wish I had used them for previous tree removal jobs. Arrived on time, all workers were polite and did a great job. Highly recommend these guys. Jez and his team were great to deal with, very reliable and helpful, awesome job! Jez came today as scheduled, did a superb job, and beat the other quotes out of sight!!! Strongly recommend, great work, great guy. © 2018 · JC Tree Services · Website Design By Gold Coast Business Websites · Sitemap · Providing quality Gold Coast tree removal including Burleigh Heads, Coomera, Nerang Mudgeeraba, Robina, Southport & Surfers Paradise. Also serving Brisbane southside and Northern NSW.